The second volume of The Journal focuses on the evolving topic of measurement within the field of donor relations and stewardship. Why are we measuring donor relations and stewardship practice? In what ways is the form and method of measurement influenced by a superior understanding of why we are measuring? Book 2: Measurement is now available for purchase on Amazon.com eStore. 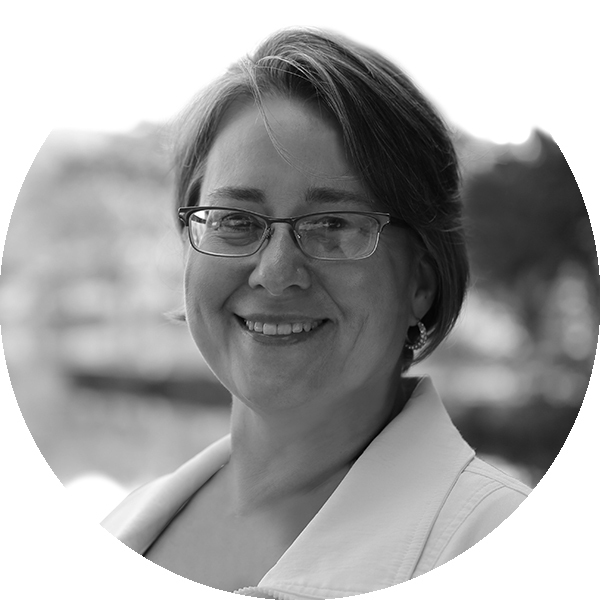 J. Kay Coughlin, Facilitator on Fire, has over 20 years of experience helping organizations solve problems, build relationships with people, and raise money. Kay’s career focus has been on making the most out of limited resources through planning and development. She is highly skilled in facilitating difficult conversations that most people get stuck on or would prefer to avoid, helping businesses effectively answer hard questions in real time. Prior to starting her own facilitation firm, Kay spent many years working in nonprofit management and development, including managing a donor relations team. Mark Koenig is the Assistant Vice President for Advancement Services at the Oregon State University Foundation. In this role, he serves as the Foundation’s campaign and fundraising administrator including oversight of research, relationship management, information technology services, and database management operations. In addition to his roles with the Oregon State University Foundation, Mark currently volunteers as the chair for the Council for Advancement and Support of Education’s (CASE) District VIII, and holds executive corporate advisory positions with Ellucian and Wealth Engine. Prior to joining Oregon State, he was the Director of Prospect Research and Management for The George Washington University. He has also held research positions at Georgetown University, Georgetown Medical Center, and Rice University. Roberta O’Hara joined the development staff at Princeton University in 1986, and over the years, rose in ranks, eventually holding the senior leadership position of Senior Associate Director of Stewardship at Princeton University. In 2014, Roberta returned to her alma mater, Rutgers University, as Senior Director of Donor Relations. Roberta was a founding member of the New England Stewardship Conference, which ultimately became the Association of Donor Relations and Stewardship. David Palmer has served as Vice-President Advancement for the University of Toronto, Canada’s largest research-intensive university. His contributions to the redefinition of the fundraising potential for several charitable sectors in Canada led to recognition with the Outstanding Fundraising Professional Award by the Association of Fundraising Professionals in 2011 and with the Outstanding Achievement Award by the Canadian Council for the Advancement of Education in 2016. Julia Emlen is the author of Intentional Stewardship: Bringing Your Donors to Their Highest Level of Philanthropy (CASE Books). She is a frequent writer and presenter for the Association of Fundraising Professionals (AFP), the Association of Donor Relations Professionals (ADRP) and the Council for the Advancement of Secondary Education (CASE), and has chaired the CASE Annual Meeting for Donor Relations and Stewardship. She offers consulting through Julia Emlen and Associates and Marts & Lundy and holds the CASE Crystal Apple Award for Teaching Excellence. She has served as adjunct faculty at Johnson & Wales University, teaching an undergraduate course on philanthropy and fundraising. Anne Manner-McLarty is a serial entrepreneur and lead consultant of Heurista, a multi-disciplinary firm helping nonprofit organizations improve their donor relations and stewardship practices. This work draws upon Anne’s reputation as a thought leader in the field and combines the experience, creativity and project management skills of the Heurista team. Anne is a long-standing member and volunteer leader with the Association of Donor Relations Professionals (ADRP), contributing through board service, conference and educational content planning and frequent presentations. Heurista Publications, LLC | Curating the best critical thinking in the non-profit industry.